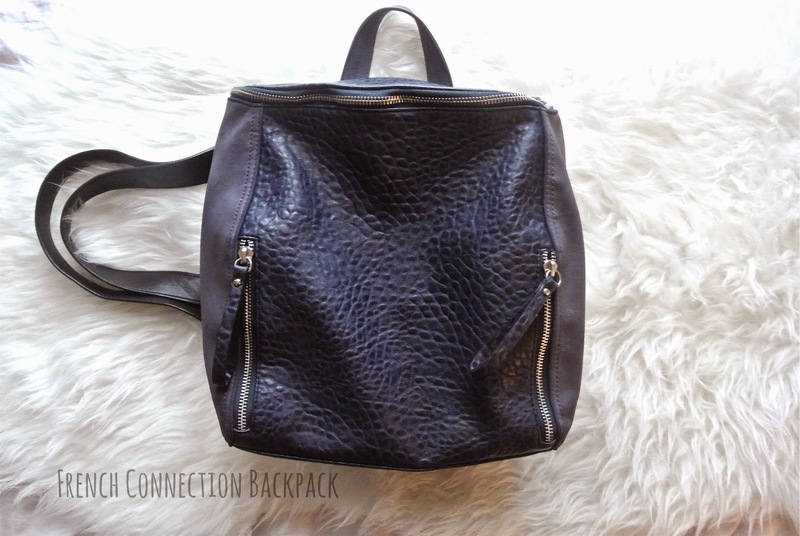 The Garment Rack: What's In My Bag? So today I have a What's In My Bag for you all. I don't know why I capitalized that like it was an actual person or something, but whatever. I love seeing these types of posts on different blogs, and suddenly become super nosy and want to know about everything in their bags. I also love watching Youtube videos like this too, they're fun! Anyways, I took a couple of pictures of what is currently in my bag. I didn't add anything or remove anything (except some lady products that no one needs to see). Enjoy! 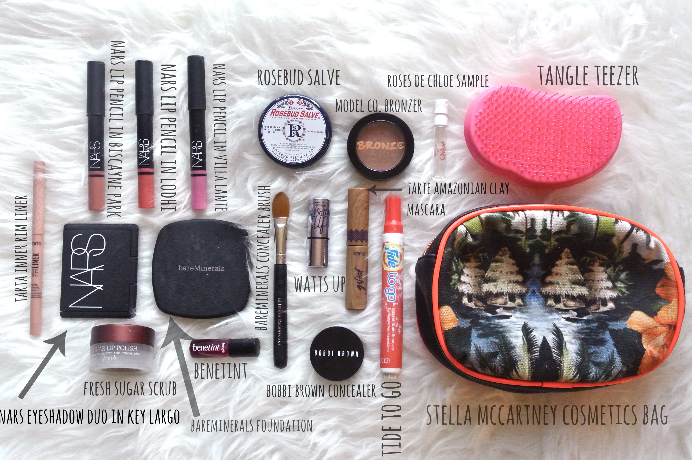 Everything inside my cosmetic bag....I realize it's excessive but hey, I'm a girl! Of course I need 5 different lip colors with me at all times! 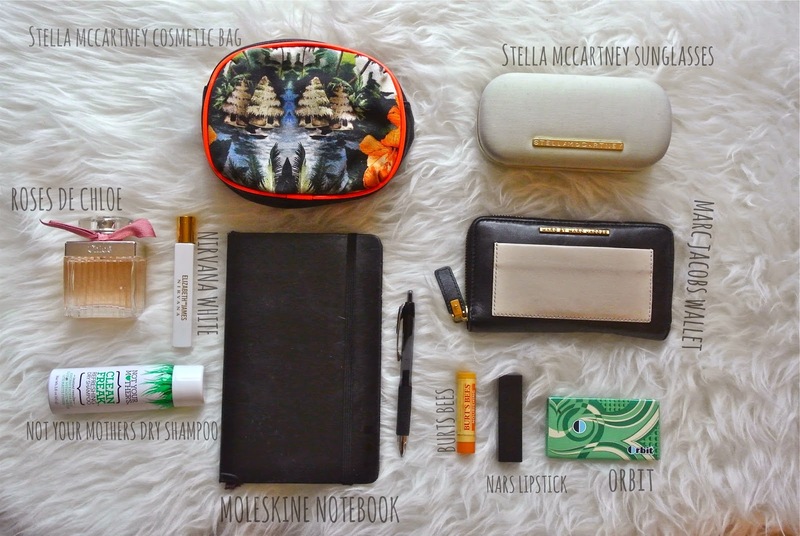 What do you keep in your bag on a daily basis?